BULLION - MCX Gold and Silver may note some decline tracking cues from international exchange but downside is limited. Domestic gold price rallied over 1% Friday to cover up the gap between domestic and international price. Domestic gold price were trading at a discount of nearly $15/oz ahead of Budget amid expectations that Indian government will cut import duty. With no announcement of duty cut and weakness in rupee amid fiscal concerns, MCX gold price rallied. The discount has now narrowed to nearly $3/oz. With budget out of way, domestic gold price may move more in sync with international markets. 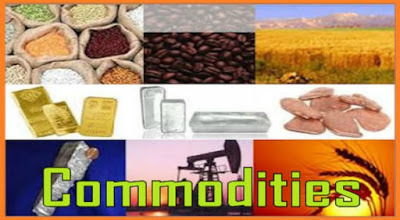 ENERGY- Crude Oil- MCX Crude may note mixed trade in line with international market but bias may be on the upside. NYMEX crude trades in a narrow range near $55 per barrel after a 2.7% gain in previous session. Supporting crude price is much bigger than expected rise in US jobs last month which rekindled optimism about health of US economy. Also supporting price is decline in US crude oil rig count which shows weakening production interest. The number of rigs drilling for crude oil fell by 15 to 847 rigs last week. Also supporting price is reports of decline in OPECâ��s production last month which shows good adherence to production cut deal. US sanctions on Venezuela will also affect exports from the nation. Crude has managed to gain despite slowdown in Chinese economy, lack of major breakthrough in US-China trade talks and record high US crude production. Russian crude output has declined however the cut is much less than target levels. Crude may trade with a positive bias as OPECâ��s production cuts continue to keep supply tightness concerns high. Focus will continue to be on health of US and Chinese economy and development relating to OPEC. Natural Gas- Natural Gas- MCX Natural gas may note some decline tracking cues from international exchange. NYMEX natural gas trades weaker near $2.7/mmBtu after a 2.8% decline in previous session. Weighing on gas price is forecast of milder weather in US over coming days which will keep a check on heating demand. US EIA weekly report was also mixed as it noted a smaller than expected decline in stocks but which was well above 5-year average. Also weighing on gas price is higher US gas production and rise in rig count. The number of rigs drilling for natural gas rose by 7 to 198 rigs. Natural gas has been falling for last few days amid weakening demand outlook and this trend may continue unless we see fresh spurt in demand. BASE METAL - Base metals on LME trade sideways to lower today following positive close last week. LME Nickel was the best performer with 5.8% gains followed by 3.9% rally in Zinc prices. In other metals, Copper and Lead ended the week with 1.4% and 0.85% gains respectively however Aluminium closed 1.9% lower. The metals pack trades sideways to lower in early trades today amid lack of cues from China as the Chinese markets are closed for week long Lunar New Year Holidays. On weaker note weighing on the prices is growing worries over deepening slowdown in top consumer China along with uncertainty over US-China trade deal. In top consumer China, data last week showed that manufacturing activity continued to contract in January with Caixin Mfg. PMI falling to Feb 2016 low of 48.3 as against market expectation of 49.5 and Decemberâ��s reading of 49.7 while official PMI too remained below 50 level mark that divides growth from contraction. BULLION - MCX Gold and Silver may note some decline tracking cues from international exchange however buy on dips is recommended. Domestic gold price will also be affected by rupee movement and any announcement in Annual Budget. The discount in domestic market and narrow spread indicates that market players are expecting government to announce a duty cut from current 10% level. We however do not expect that duty cut will happen at the interim budget. If there is no announcement, we may see some narrowing in the spread between international and domestic price. COMEX gold trades marginally lower near $1325/oz after a 0.7% gain yesterday when it tested the highest level since April 2018. The rally in gold came to a halt amid weakness in commodities and some stability in US dollar after recent sell-off. Commodities came under pressure amid disappointing Chinese economic data and no major breakthrough in US China trade talks. Both sides stated progress at end of two day talks but no specific measures were announced. Talks will continue later this month as Treasury Secretary Steven Mnuchin and US Trade Representative Robert Lighthizer head to China in mid-February. ENERGY- Crude Oil- MCX Crude may note some decline tracking cues from international exchange but downside is limited. NYMEX crude trades weaker near $53 per barrel after a 0.8% decline yesterday. Crude oil rose as high as $55.37/bbl in intraday trade yesterday, the highest level since 21 November, 2018, however failure to sustain above that level resulted in a correction. Crude's rally came to a halt amid mixed US economic data, concerns about Chinese economy and no major breakthrough in US-China trade talks. At end of two day talks, US-China cited substantial progress but no specifics were announced and US delegation is now expected to visit Beijing around mid-February. China announced its plans to buy substantially more American agricultural and energy goods while US President Trump said he is optimistic a deal could be reached. Also weighing on crude price is record high US crude production and Canada's plan to reduce production cuts from Alberta region. However, supporting crude price are supply concerns relating to Venezuela and OPEC's stance to continue with production cuts. As per Reuters estimate, OPEC's production fell by 890,000 barrels per day to 30.98 million bpd in January. The 11 members with supply reduction targets have reduced production by 569,000 bpd as against pledged reductions of 812,000 bpd, which equates to 70% compliance. Natural Gas- MCX Natural gas may note mixed trade in line with international market but general bias may be on the downside. NYMEX natural gas trades marginally higher near $2.8/mmBtu after a 1.4% decline yesterday. Weighing on gas price are mixed weather forecast which will keep a check on heating demand. US EIA weekly report noted a 173 Bcf decline in US natural gas stocks as against market expectations of 194 Bcf decline. This is however higher than 5-year average decline of 150 Bcf and has widened the deficit over 5-year average stocks to 13%. Natural gas has fallen sharply in last few days and could take support near $2.8/mmBtu level hence one we suggest one to wait for higher levels to create fresh shorts. BASE METAL - Base metals on LME trade with a weaker bias today paring yesterdayâ��s gains. LME Zinc was the best performer with 1.2% gains followed by 1.05% rise in Lead and Nickel prices. In other metals, Copper ended 0.5% higher while Aluminium as nearly unchanged. 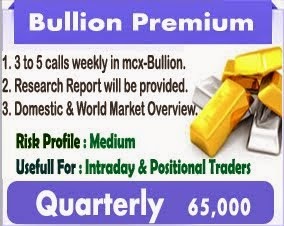 BULLION â�� MCX Gold and Silver may trade with a positive bias tracking cues from international exchange. COMEX gold trades higher above $1310/oz after testing the highest level since May 2018. Gold has hit multi month high amid choppiness in US dollar and equity market. The US dollar index is under pressure ahead of FOMC decision today. Fed is expected to keep monetary policy unchanged but may reiterate patient stance on rate hikes. Global risk sentiment is weak amid signs of slowdown in Chinese economy, disappointing economic data and corporate earnings results from US and uncertainty about Brexit and US-China trade talks. US and China will begin their two day meeting today to resolve trade issues however hopes of a deal are low given tensions over Huawei and other issues like technology transfer. On Brexit front, UK lawmakers voted to renegotiate the Brexit withdrawal agreement with European Union however Brussels is not willing to negotiate. ETF inflows also show buying interest in gold. Gold holdings with SPDR ETF rose by 8.23 tonnes to 823.868 tonnes, highest level since June 2018. Gold may witness choppy trade ahead of key events however general bias may be on the upside amid weaker outlook for US dollar and general weaker risk appetite. ENERGY- Crude Oil- MCX Crude may note mixed trade in line with international market but selling could be seen at higher levels. NYMEX crude trades in a narrow range above $53 per barrel after a sharp 2.5% gain yesterday. Crude rose yesterday after a sharp 3.2% decline a day earlier. The mixed trade is due to mixed factors and uncertainty ahead of outcome of major events. Supporting crude price are supply concerns relating to Venezuela as US imposed sanctions on Venezuela's state-owned oil co. PDVSA that effectively block the country exporting crude to the US. Crude has also benefitted from reports that Saudi Arabia will further reduce output in February to 10.1 million barrels per day as against targeted 10.311 million bpd. However, weighing on crude price are concerns about record high US crude oil production, slowdown in Chinese economy, disappointing US economic data and uncertainty about US-China trade talks and Brexit. US and China will begin their two day meeting today to resolve trade issues however hopes of a deal are low given tensions over Huawei and other issues like technology transfer. On Brexit front, UK lawmakers voted to renegotiate the Brexit withdrawal agreement with European Union however Brussels is unlikely to negotiate. Focus today will shift to US weekly inventory report. Ahead of EIA report, API noted a smaller than expected about 1 million barrel increase in US crude oil stocks and another rise in gasoline and distillate stocks. US EIA weekly report is expected to note a 3.1 million barrels increase in US crude oil stocks. Apart from crude stocks, focus will be on US crude production which stands near record high level. Apart from inventory, focus will also be on US economic data which will affect outlook for the economy. Natural Gas- MCX Natural gas may note mixed trade in line with international market however bias may be on the downside. NYMEX natural gas trades mixed near $2.9/mmBtu after a 1% gain yesterday. Weighing on natural gas price are weather forecasts which show that current cold weather in US Midwest and east will give way to milder weather keeping a check on heating demand. However, supporting price is expectations of a bigger than average decline in gas stocks. As per early estimates, EIA may note a 190 Bcf decline in gas stocks as against 5-year average decline of 150 Bcf. A bigger than average decline in stocks will widen deficit over 5-year average. Natural gas has fallen sharply in last few days on expectations of waning demand however we expect choppy trade ahead of inventory report hence one must wait for higher levels to create short positions. BASE METAL - Base metals on LME trade sideways to higher today following mixed close yesterday. LME Nickel was the best performer with 2.5% gains followed by 1.3% rise in Aluminium prices and 0.8% gains in Copper prices. In other metals however Lead and Zinc prices ended 0.1% and 0.9% lower respectively. The stock market has created new hai many times in the last few trading sessions. The risk of selling has increased even after reaching new heights of the stock market. In this way, many investors are avoiding the risk of making big investments in the market right now. Experts also believe that higher valuations can be sold in stocks. However, he believes that the market can show further growth. In such a situation, investing in good shares with small amounts in the market right now would be a better strategy. We have selected 5 stocks from the brokerage house, which are less than Rs. 100. At the same time, it can get returns up to 75 percent further. Experts believe that investors should put their amounts in a stock and not in a stock. This means investor investing in better stocks of small unit cost. In these stocks of Rs 100, an investor can invest in a very small amount and can create a better portfolio of many stocks. This not only reduces their risk. In addition, stocks will also have the advantage of growth. The South Indian Bank is a Mid-sized Bank in the Private Sector. It has 855 branches and 1386 ATMs across the country. Mainly bank business in South India. The bank has a strong customer in the South. The loan book of the bank is getting stronger. The deposit has improved in the bank. Both Ripley and SMEs have growth in the segment. Focus on improving management asset quality. The brokerage house, Cholamandalam Securities Limited has set a target of Rs 26 for the stock. For the current price of 18 rupees, the share can get 45 percent return. Tata Power is India's largest power generation company. The company has been consistently strengthening its balance sheet. The company will have the advantage of increasing the demand for power in the coming days. In the first quarter of the fiscal year 2019, Tata Power's profits have gone up by more than 5 times to Rs 1,769 crore. In the first quarter of the fiscal year 2018, Tata Power's profit was Rs. 391 crores. At the same time, the income increased by 14 percent to Rs 7313 crore. Brokerage house Elvis has given a target of 92 rupees for the stock. For the current price of 72 rupees, the share can get 28 percent returns. MCX Gold prices edged higher in evening trades on Thursday after U.S. economic data but overall prices are still in pressure. On the daily chart, Gold has given breakdown of rising wedge pattern; which indicate bearish reversal for near term. Moreover, price has reversed from 50 days SMA; which act as resistance zone for the prices. Furthermore, momentum indicator RSI (14) and MACD has shown bearishness with negative crossover. On the other hand, COMEX Gold has sustained near $1300 levels. 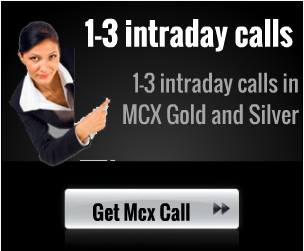 Therefore, we expect sideways to bearish movement in MCX Gold prices. Oil prices rebounded on Thursday as crude oil inventories fell by 3.620 million barrels in the week ended May 25. On daily chart MCX Price has given rising channel breakdown and sustained below it. Moreover, price has tested upper Bollinger Band formation and retreated from there. Furthermore, price has also sustained below 21 days SMA on daily chart. In addition, momentum indicator RSI has slipped form overbought zone and shown negative crossover. So based on the above analysis, we expect bearish movement in the Crude oil towards 4450. 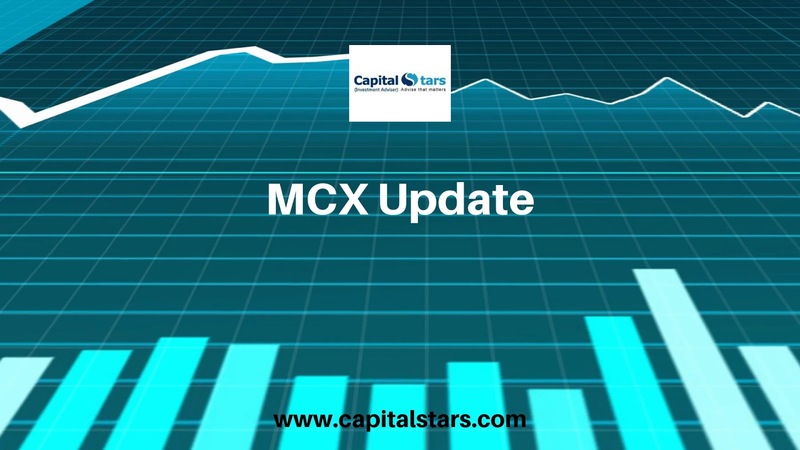 MCX Natural Gas price has rebounded on Thursday after a long correction in prior two days. On the daily chart, price has been trading within a channel formation and moved back to test upper line of the above formation. Moreover, price has sustained above 21 days SMA; which indicate bullish moves. Furthermore, a momentum indicator RSI (14) and MACD has climbed to upward with positive crossover, which suggest buying opportunity in the counter. So based on the above technical studies, we expect bullish move in MCX Natural Gas prices. Gold February 2015 future is up 0.2 per cent at $ 1,210.10. Silver March and Platinum January contract are flat at $ 16.468 and $ 1,226 .55, respectively. Crude Oil and Brent Oil January futures are marginally up at $ 76.62 and $ 80.55, respectively. Natural Gas January contract has slumped 4.5 per cent to $ 4.219. INDIAN BENCHMARK are likely to open on a positive note tracking a firm trend in Asian stocks and a record high closing at Wall Street on Friday as a surprise interest rate cut by China spurred optimism over the outlook for the world economy. SGX Nifty is trading 49.50 points higher. Trend in FII flows: The FIIs were net buyers of Rs 122.5 cr in the cash segment on Friday while the DIIs were net sellers of Rs. 137.59 cr, as per the provisional figures released by the NSE. INDIAN BENCHMARKS ended at a record closing high on Friday as foreign investors continued to pile into domestically oriented blue-chips such as Asian Paints Ltd amid a slide in crude oil prices and data showing easing wholesale inflation. Data on Friday showed the wholesale price index rose an annual 1.77 percent last month; it’s slowest since September 2009, while data on Wednesday showed consumer prices rose at the slowest rate on record. India will also benefit from Brent sliding below $77 per barrel to its four-year low, as it imports more than two-thirds of its fuel requirements. 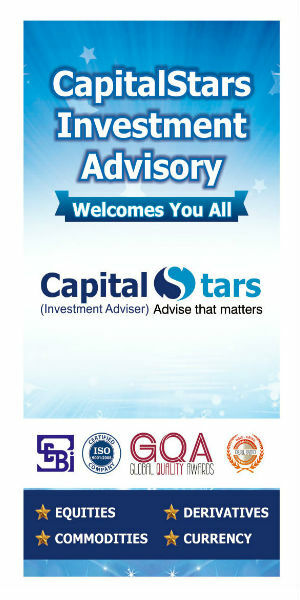 The INDIAN BENCHMARKS SENSEX ended 0.38 percent higher at 28046.66 and the 50-share NIFTY ended 0.38 percent up at 8389.90. ASIAN STOCKS Nikkei has retreated from the seven-year high mark as investors turned cautious ahead of the release of GDP data and is currently trading flat with a negative bias. U.S. STOCKS posted a fourth straight week of increases but ended little changed as losses in healthcare shares offset gains in energy. EUROPEAN STOCKS fell back and U.S. stocks looked set to open flat after a mixed bag of euro zone growth numbers that showed France and Germany growing marginally but others like Italy still firmly in recession. Shares of Kotak Mahindra Bank gained nearly 9%, touching to Rs1260.9, after the Kotak Mahindra Bank announced it was acquiring ING Vysya Bank in an all-stock deal.ING Vysya Bank shareholders will get 725 Kotak Mahindra Bank shares for every 1,000 shares they hold. This exchange ratio indicates an implied price of Rs 790 for each ING Vysya share based on the average closing price of Kotak shares during one month to November 19, 2014, which is a 16% premium to a like measure of ING Vysya market price. The proposed merger would result in issuance of approximately 15.2% of the equity share capital of the merged Kotak. Yes Bank rose nearly 4%, touching to Rs702, after the central bank allowed the purchases of the bank's shares by the foreigners after foreign holding fell below the caution limit. The Reserve Bank of India ( RBI) on Thursday said restrictions placed on the purchase of its shares by foreign investors withdrawn.RBI in September said further share purchase by foreign investors will be allowed only after obtaining its approval. The Bank has also informed that, each American Depositary Share (ADS) of ICICI Bank will continue to represent two underlying equity shares as at present. The number of ADSs held by an American Depositary Receipt holder would consequently increase in proportion to the increase in number of equity shares. The stock is up 2% at Rs1730. The stock has hit a high of Rs1739 and a low of Rs1678. The stock so far has touched an intra-day high at Rs 195. Financial Technologies rebounded into the positive territory after two day of hefty losses, as Jignesh Shah the managing director of Financial Technologies resigned - who is fighting legal battle in the NSEL's Rs 5,600 crore scam. Financial Technologies has soared over 3.5 per cent at Rs 190. So far, the counter has seen trades of around 125,000 shares, as against the daily average volume of 245,000 shares in the past two weeks. Tech Mahindra: Acquires Lightbridge Communications Corporation (LCC) in an all cash deal, will strengthen its position in Network space, we remain positive on the company.Tech Mahindra has announced its acquisitions of US based network solutions company Lightbridge Communications Corporation (LCC) for $240 million, in an all cash deal. The acquisition is likely get close by end January 2015 and Financials consolidation will happen in Q1FY16. For CY2014, LCC expects revenues of $430 mn and EBITDA margins of 8%.Currently LCC has total employees of around 5700, out of which 800 are US based and rest are outside Europe. INDIAN BENCHMARK are likely to open on a flattish note today tracking subdued cues from Asian markets . SGX Nifty is trading 4.50 points higher. FURTHER, Indiabulls buys Chennai office complex for Rs600 cr.Shriram EPC promoters increase shareholding as part of CDR scheme.FIIs hike stake in Infosys to 43% in Jul-Sep quarter. Trend in FII flows: The FIIs were net sellers of Rs -477.15 cr in the cash segment on Thursday while the DIIs were net buyers of Rs. 101.62 cr, as per the provisional figures released by the NSE. Gold December future is trading on a flat note at $ 1,191.80. Silver December future has added 0.4 per cent at $ 16.203. Platinum January 2015 futures are marginally in red at $ 1,210.45. Crude Oil January 2015 future has advanced 0.6 per cent at $ 76.33. Brent Oil January 2015 future has gained 0.2 per cent at $ 79.64. Natural Gas December future has declined by 0.2 per cent at $ 4.450. Copper December future has added 0.4 per cent at $ 3.028.